Northern Ireland Screen is delighted to announce that new BBC One drama, Come Home, is to be directed by local woman, Andrea Harkin. Produced by RED Production Company, cameras roll on the 3x60 minute series this month. Written by BAFTA and International Emmy award-winning screenwriter Danny Brocklehust, Come Home is a powerful, absorbing and deeply emotional family drama, told with levity, laughter and an emotional truthfulness. Set and filmed in Northern Ireland this compelling drama explores the messy realities of parenthood, marriage and what happens when a mother switches the reset button on her life. 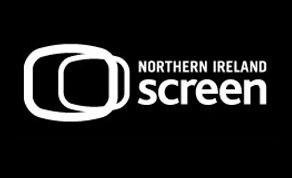 With funding from Northern Ireland Screen supported by Invest NI, the drama will focus on a family reeling; from mother Marie, played by Paula Malcomson (Ray Donovan; Broken) who has made the hardest decision of her life, to her bereft husband Greg, played by Christopher Eccleston (The A Word; Fortitude) and their three children. Andrea has previously directed three episodes of BBC3's drama-thriller ‘Clique’, starring Aisling Franciosi (The Fall) and Louise Brealey (Sherlock). Her most recent short film ‘The Party’ was nominated for a BAFTA for Best British Short 2017 and has screened at many festivals internationally, also winning the nomination for the European Film Awards: Best European Short at the Cork Film Festival. Andrea’s first short film ‘The Flyer’ was nominated for a BAFTA Scotland new talent award in 2008. In 2009 she was the Northern Ireland Screen-supported scholar at the prestigious National Film and Television School (NFTS) in Beaconsfield. After studying directing there she graduated in 2011 with a portfolio of short films. In 2012 Andrea was accepted on to Northern Ireland Screen’s first Shadow Directing training scheme. She was then selected for Channel 4’s Coming Up scheme, which is funded by Northern Ireland Screen, gaining her first broadcast credit with the single drama ‘Sammy's War’ (2013). She then went on to direct two episodes of BBC Northern Ireland's drama ‘6 Degrees’ (2014). Andrea was selected for Northern Ireland Screen’s Emerging Auteurs scheme to support the development of her first feature film ‘The Rain Days’ and she took part in the Edinburgh International Film Festival talent lab in 2016 to further develop this project. ‘Come Home’ has been commissioned by Piers Wenger, Controller of BBC Drama, and Charlotte Moore, Director of BBC Content, and will be produced by RED Production Company (Happy Valley, Ordinary Lies) for BBC One. Nicola Shindler and Danny Brocklehurst will executive produce with Madonna Baptiste producing for RED Production Company. Tommy Bulfin will executive produce for the BBC.